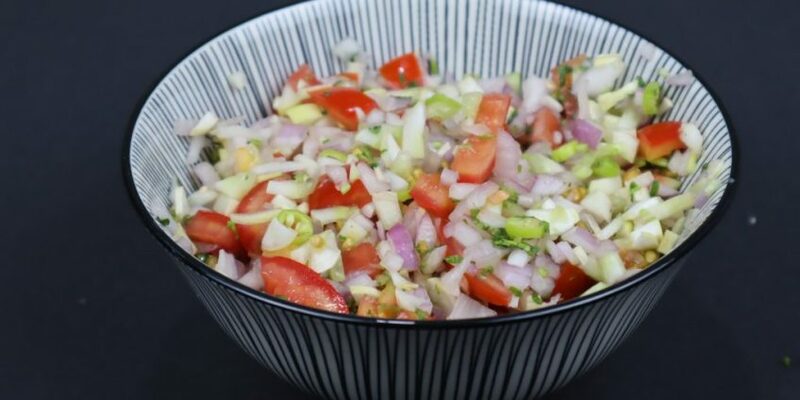 Onion-Tomato chutney Recipe is a famous mouth-watering south Indian side dish enjoyed with Idly and Dosa. In Indian Cuisine, chutney plays as an extraordinary appetizer. 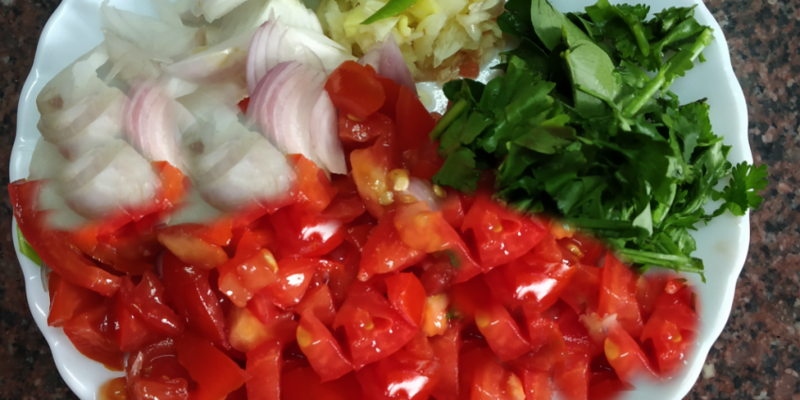 For this chutney, we can get an assortment of tones by tuning this twosome (onion & tomato). 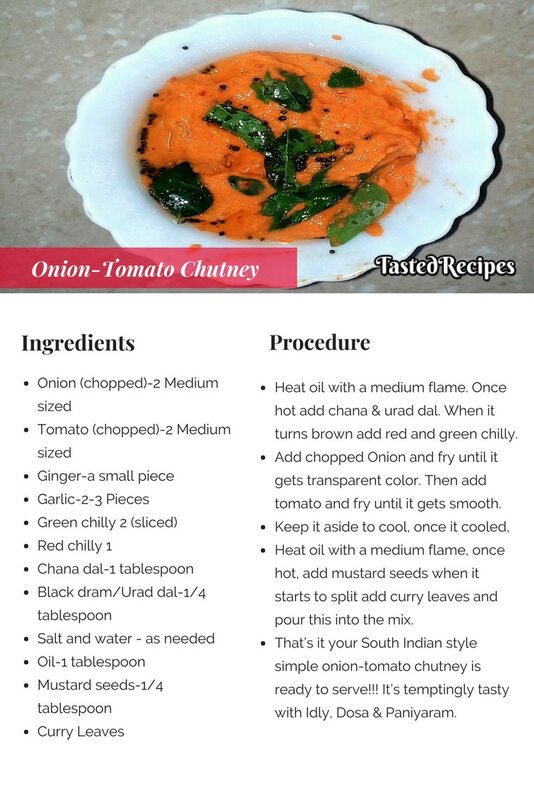 So readers, follow the simple Onion- Tomato Chutney recipe steps below to get this glorious tasty chutney. Heat oil with a medium flame. 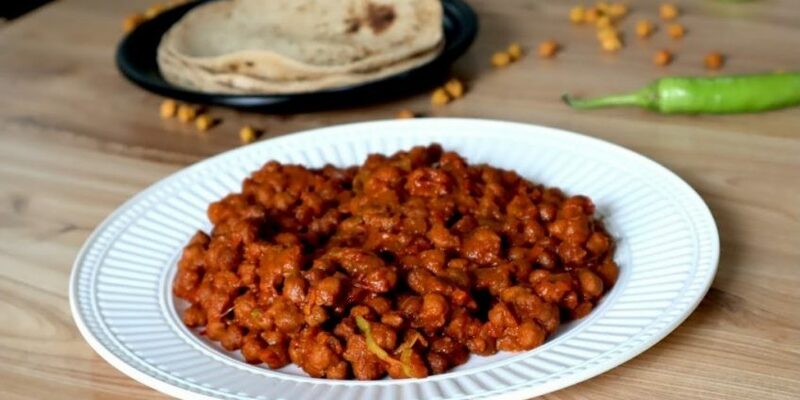 Once hot add chana & urad dal. When it turns brown add red and green chilly. 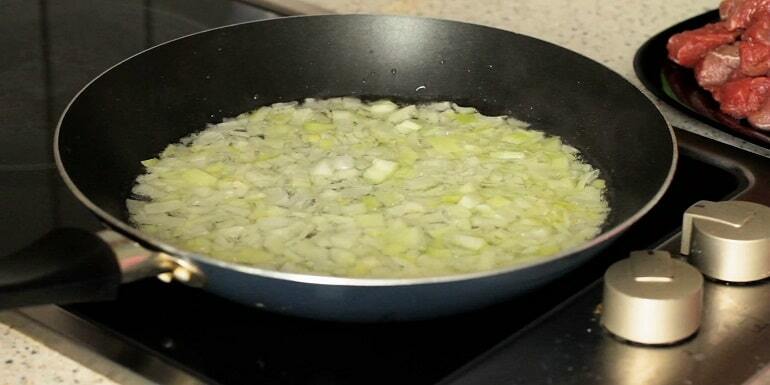 Add chopped Onion and fry until it gets transparent color. Then add Tomato and fry until it gets smooth. 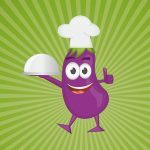 Keep it aside to cool, once it cooled, crush the stuff with salt to taste. Heat oil with a medium flame, once hot, add mustard seeds when it starts to split add curry leaves and pour this into the mix. 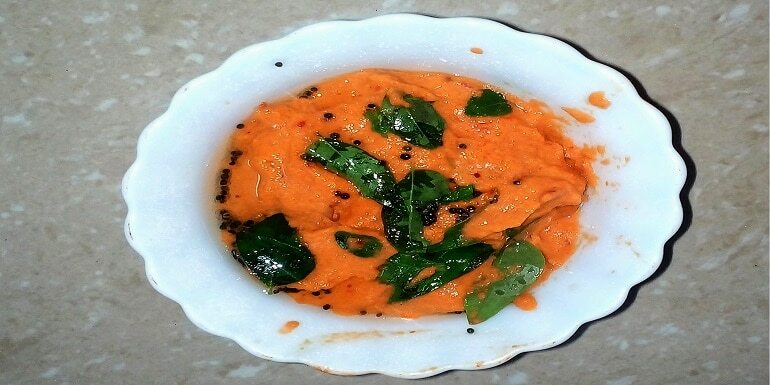 That’s it your South Indian style simple onion-tomato chutney is ready to serve!!! 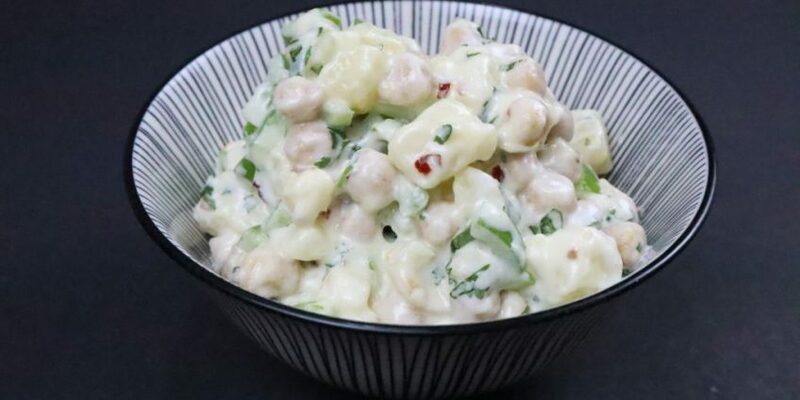 It’s temptingly tasty with Idly, Dosa & Paniyaram.